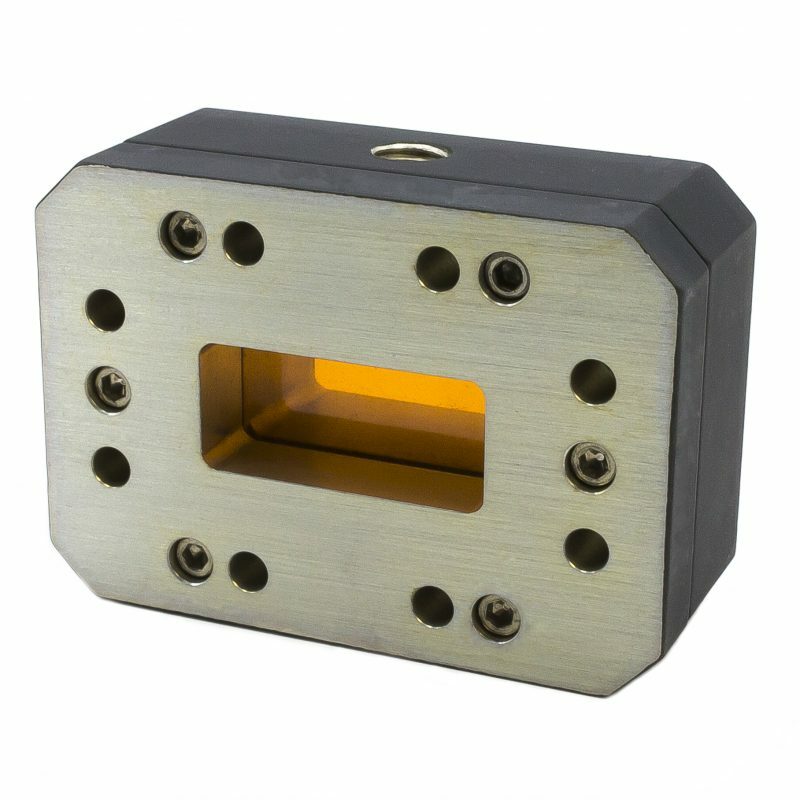 M.E.C.’s rectangular waveguide pressure windows offer low reflection loss over a complete range of waveguide bands and possess a working pressure of 30 PSIG. Pressure windows generally have a gasket groove on one face and conform to standard flange dimensions. Clearance holes are supplied for installation between flanges. Windows may be manufactured out of aluminum or brass. 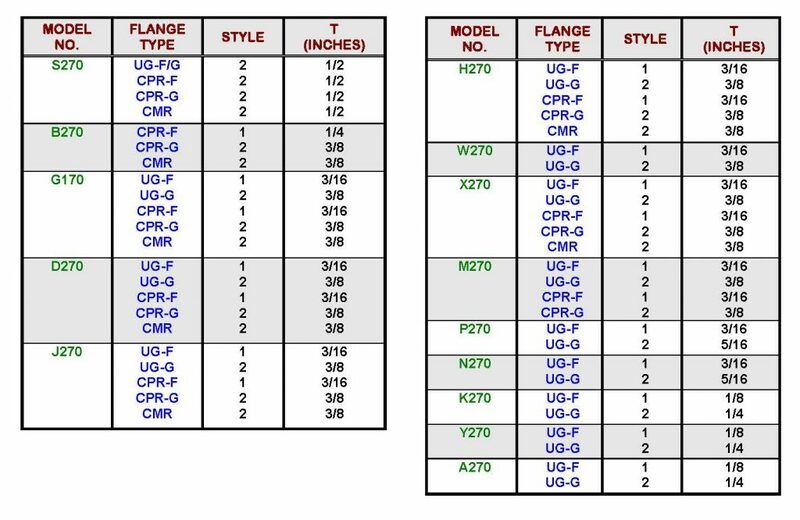 (1) Order by model number, flange type, and style. (2) Please contact M.E.C. with your specific requirements. All customer designs are welcome. Ask about our high power, special applications.